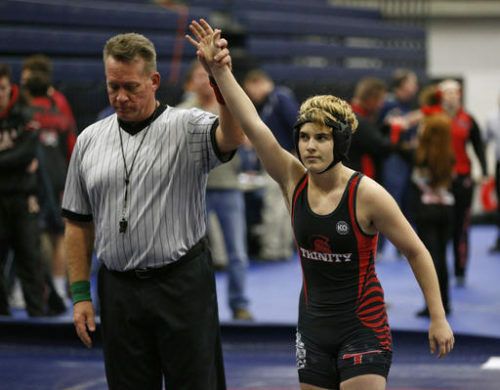 Earlier this year, Texas’s policy that high school athletes can only compete as the gender listed on their birth certificate led to Mack Beggs, a wrestler, competing with the girls, having an undefeated season, and winning the state tournament. Beggs, for his part, asked to compete with the boys and was refused by the University Interscholastic League (UIL), the body that oversees high school sports in Texas. UIL rules ban the use of performance-enhancing drugs like testosterone but make an exception for students who are taking a treatment prescribed by a doctor. Still, many parents were upset by this, and his story drew national attention. Texas is one of only six states that forces high school students to compete as the gender listed on their birth certificate – most other states have less restrictive policies. But instead of changing its policy on student athletes who transition, Texas is considering a bill that would allow the UIL to ban transgender people from competing in high school sports. The bill received initial approval in the Texas Senate this week, and it would require student athletes to report even medically appropriate uses of steroids to the UIL. The bill does not mention other performance-enhancing drugs that have legitimate medical purposes, like stimulants. The UIL can decide on a case-by-case basis if that student can compete and is required to declare a student ineligible if that treatment decreases the safety and fairness of the competition. Except the real issue is who plays what sports. Restricting the range of medical treatments a student can use, in the context of a league that does not allow them to compete with the correct gender, means that some student athletes will have to choose between a medically appropriate treatment or competing in a sport. Hall brings up fairness, but it’s unfair to ban a class of students from participating in high school sports when there’s no need. Hall brings up safety, presumably the safety of cis girls competing against trans boys in contact sports. But what about the safety of trans girls competing with cis boys? And then there are the fairness and safety issues that come with the state legislature painting a bullseye on a minority’s back. The bill is, at best, concerned with the safety and fairness of only one group of people and completely unconcerned with fairness and safety for another group of people.